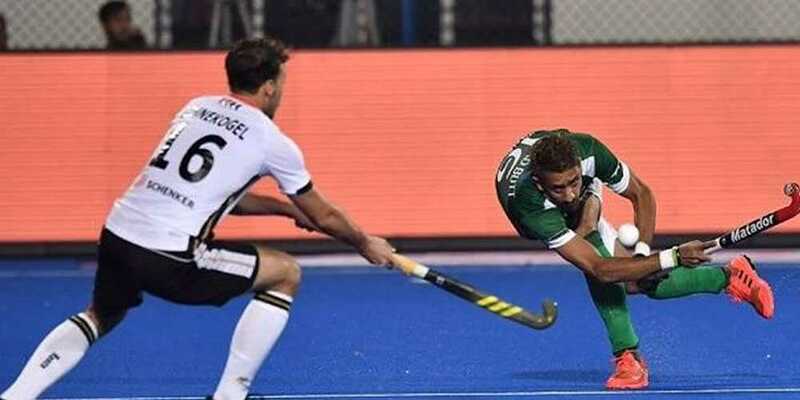 Germany defeated Pakistan 1-0 in the Hockey World Cup match played at Kalinga Stadium in Bhubaneswar on Saturday. Germany's Miltkau Marco scored the only goal for his side. Pakistan, four time title holders, are currently 13th ranked while the Germans, the two time winners, are placed 6th in the FIH rankings. The two sides have met eight times in the World Cup. In 1982 they came across twice, pool game and final. Pakistan have won five (including the penalty shootout win at 1994 semi-final). Germany have been victorious the other three times.